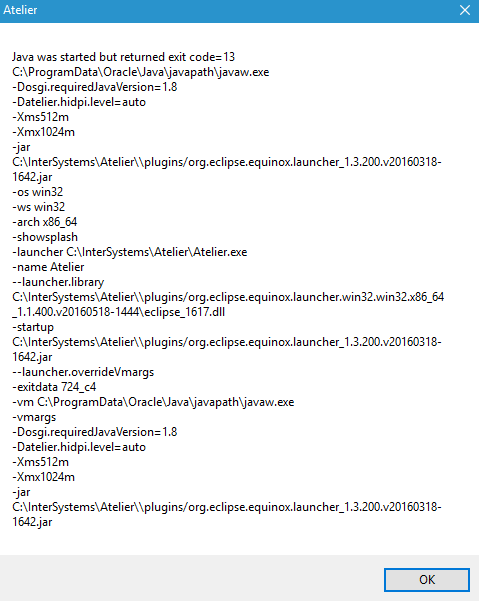 This is the debut release of our new Eclipse based plugin for developing code on Cache and Ensemble. This is a preliminary release of Atelier. There are still some capabilities that exist in Studio that we are still adding to Atelier. To save time we are providing a short list of features that people may note are missing that are targeted for the 1.1 release. Excellent! Congratulations to the team. Hi John - I saw something similar when I ran update but in my case I did not get the signing warnings. I will pass this along to the right people. Thanks! Does it support any of the Healthshare version . 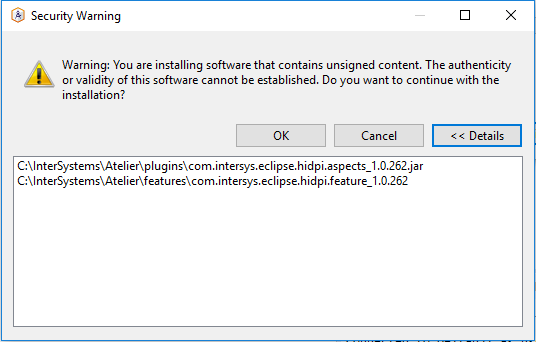 We tried to check with Ensemble 2016.2 which worked with Atelier. We are using 2016.1. healthshare , so not sure if we can use atelier with any of the healthshare versions. No, you'll need HealthShare 2016.2 at least. PS: Actually, colleague of mine has the same problem on his machine.